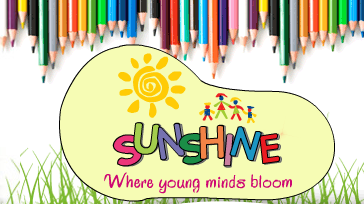 One of the popular preschool network in Hyderabad. The teachers are really nice to kids. Liya absolutely loved Ms. Lakshmi. CCTV access to parents. You can even play back the videos of older dates. Liya loved the teachers but she did not like the school. In fact, she was not completely settled with the school till her last day. The main issue was that we opted only for daycare, as we were not sure how long we are gonna be here in Hyderabad. Having gone into a fully activity packed daycare in US, the daycares in India sounds deserted for her. They really don't have learning activities more than napping, some coloring, story time and rhyming. The change I saw in her was she had by hearted many rhymes from the school. Just too many. She learned quite a few Hindi words, she learned national anthem and also she can now understand telugu and Hindi. Honestly, I did not want her to start mugging up, like I said before. In fact I was annoyed that she was going that way. But she was always complaining that 'the schooling is not fitting me...' Means most of the activities were outdated for her. I must say, the school could not help her in transition from US to India, which is very important. Her teacher used to say if she gives her any toys or books Liya would say I have something better than this at home. Earlier I was curious why was she boasting. Soon I realized that the school is not able to actually go up to her level. It's not that she is very talented and they are bad- it's just because she had an awesome schooling experience earlier and so she was much ahead of her age group kids. They were not able to offer something better or equal to that. Then I tried to talk to her and she said there was hair in their bathroom etc. I am not sure about this, but I know that she can't lie. Nor did I speak to them. We had already made up our mind to take her out from the school and admit her in to schools which stay more closer to her needs. She also got pinworm attack from there. In fact I had seen some kids coming in really dirty clothing. People may be poor or rich but cleanliness has nothing to do with the thickness of your pocket. It's just your attitude. We had to give her deworming medicines. Somewhere I felt that the school failed to identify the kid's need. All age groups were mixed in daycare and hence she was always jealous about kids who get homework. The older kids get better activities which were closer to what she was used to. She wanted homework too and made me buy a book and pen for her. The next day though she took all these to school, she came home sadly because they did not give her homework. I felt, they could have tackled the kid better if they were giving her a homework as 'draw a picture' or something like that if at all they mix up all age groups. The school is very small, so small to hold more than 40 kids. Just a 2/3 bedroom independent house was leased for school purpose. Single storied and hence gonna be a big problem during peak summer in Hyderabad. No A/C back up even in summer season. Very small outdoor area. Indoor is anyways very small. It is located in a very inner road, opposite to Old Airport, so this is gonna be much closer to Hussain Sagar lake. And Hussain Sagar lake is notorious for its stinky water. So when it rains it just stinks around the school. Also, it's at the dead end of the road and hence when it rains all water gushes there and premises turn very unclean. Overall, I would recommend Sunshine, Begumpet if you are concerned for money. Considering the fee you are paying, its worth it. But, for us personally, we are not really looking to cut money from her education and save some penny... If God has given us something, she has her right to get a good education as well, Thank God!. Moreover, we would prefer quality education, even if we have to pay a little higher. No meals. You have to send food for kids. Daycare - for 9 hours slot- nearly Rs. 3000 per month. Need to pay as three installments over an year. Nursery- (we did not take it)- 3 hours per day - Rs. 12500 per year. Need to pay at a go. Which means 1000 Rs per month+ 500 Rs for school bag and cap. No registration fee or caution deposit. This is the cheapest I ever saw in Hyderabad. * No refund at any circumstances. You may get internal transfers within the centers. It's really interesting to learn of the differences in daycare and nurseries from the US to India.